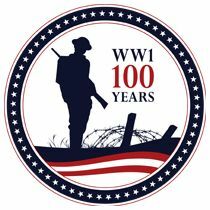 A solemn ceremony to commemorate the 100th anniversary of the signing of the Armistice declaring an end to the hostilities of the “Great War” will be conducted at 11:00AM on November 11th, 2018 at the Frank Denius Veterans Memorial Plaza on the northwest corner outside of Darrell K. Royal-Texas Memorial Stadium. The names of the 97 UT students and faculty who perished in World War I will be read during the ceremony sponsored by the DKR-Texas Memorial Stadium Veterans Committee, appointed by President Gregory Fenves “to preserve within the stadium the history, honor, and memory of all those from The University of Texas at Austin who have served honorably in our country’s armed forces.”. The public is invited. 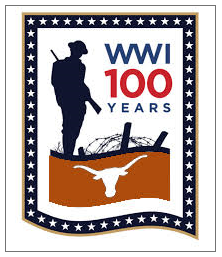 11:13 AM – Remarks by Dr Thomas Hatfield: narrates the history of the Armistice, the stadium and the sacrifices made by Texans and UT students and faculty in WWI.